**Disclosure: I did receive complimentary gift cards to sample Corner Bakery selections. No other compensation was received. All opinions are 100% my own. 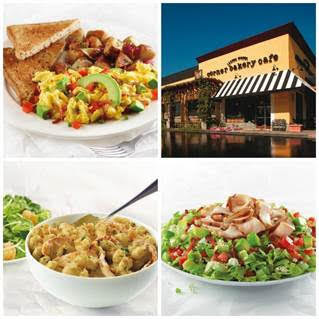 Anaheim Scrambler – For breakfast, this dish is made with freshly scrambled eggs with applewood smoked bacon, tomatoes, green onions and cheddar cheese, topped with avocado. 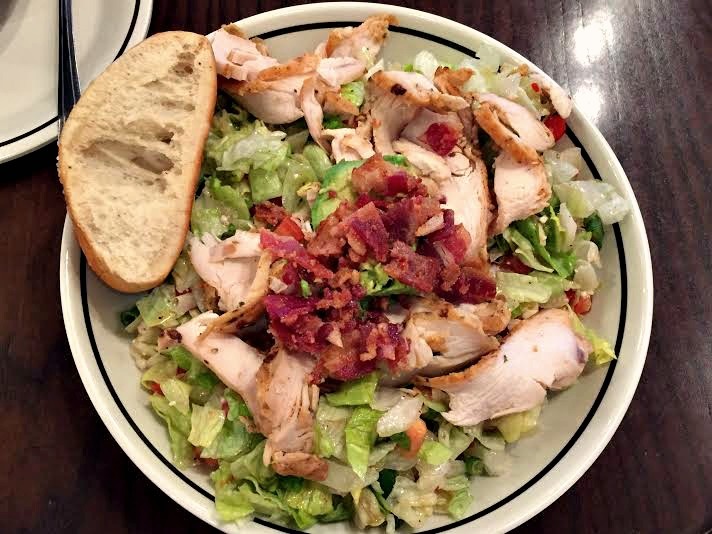 Chopped Salad – This salad features all-natural chicken, applewood smoked bacon, avocado, bleu cheese, tomatoes and green onions tossed with iceberg and romaine lettuce and our sweet and spicy house vinaigrette. Pesto Cavatappi - All-natural grilled chicken and cavatappi pasta tossed in our rich pesto cream sauce and sprinkled with toasted bread crumbs. 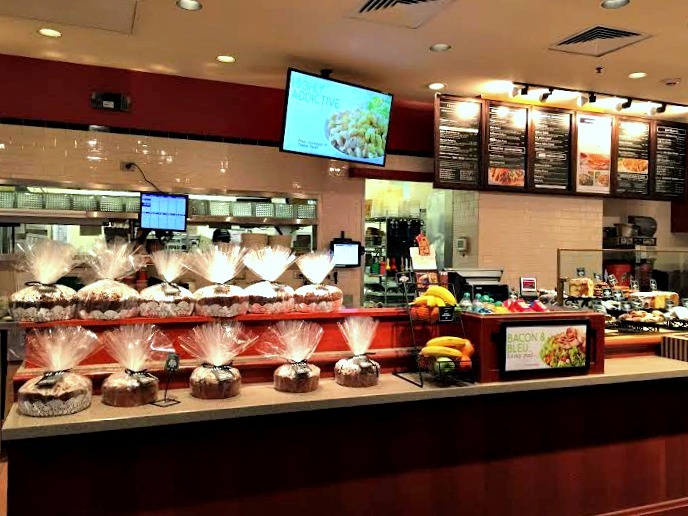 My daughter and I visited Corner Bakery on a recent afternoon and tried one of their favorites, the Chopped Salad, as well as a cup of Sriracha Black Bean Soup---along with treat, of course! We did one of the meal combos--salad and cup of soup. I was pretty impressed with the size of the salad--especially the healthy amount of chicken. Really filling--with a good amount of vegetation. 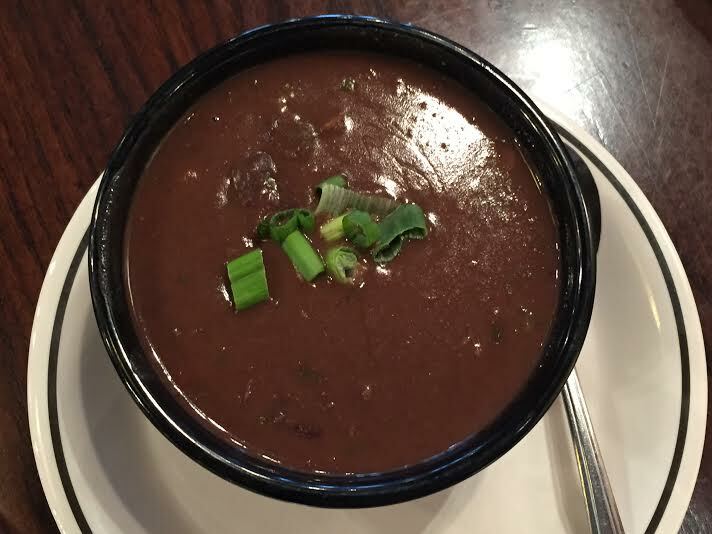 I am a HUGE black bean soup, so I NEEDED to try the Sriracha Black Bean Soup. Before sampling, I was a bit apprehensive that the soup would be too spicy. But, I found the soup to be a pleasant winter warmer with a bit of a bite. 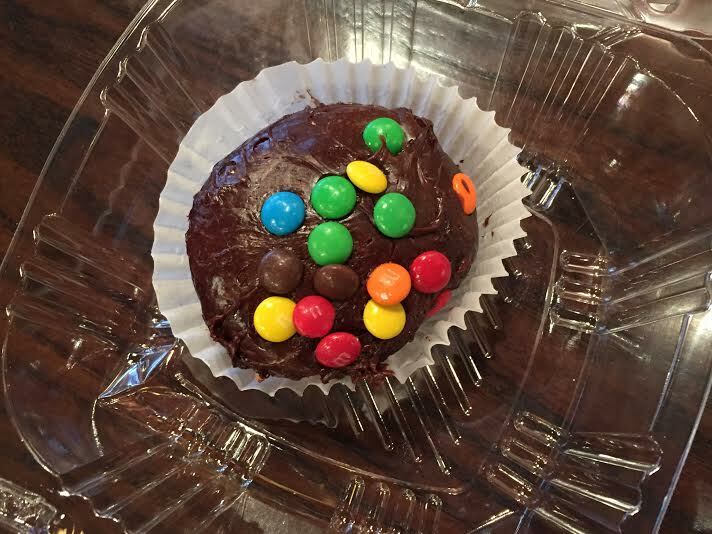 My daughter, of course, needed a treat and opted for a chocolate mini bundt. I love that Corner Baker has a mini bundt--a little treat as opposed to a too big one! A little bit of sweet to end our visit! I would want the Chicken Pomodoro sandwich. I'd love to try the harvest salad! I love the pasta combo. I love the sweet treat. pasta combo sounds good to me too! I would love to try the Chopped Salad & Cinnamon Creme Cake! The Steak & Cheese Hot Toasted Sandwich looks delicious. I'd love to try the Club Panini on Sourdough. I want to try the Uptown Turkey Sandwich & Roasted Tomato Basil Soup combo. The Spinach Sweet Crisp Salad looks awesome! 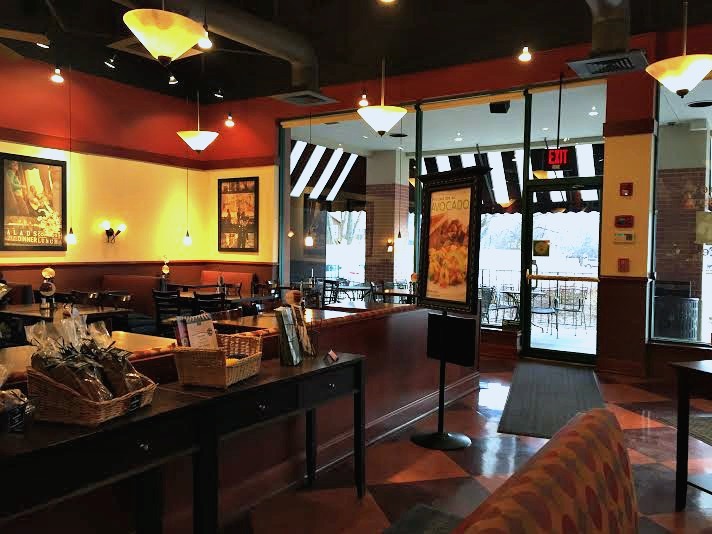 The Pannini Combo with Tomato Basil Soup sounds great!